Discourse and Digital Practices shows how tools from discourse analysis can be used to help us understand new communication practices associated with digital media, from video gaming and social networking to apps and photo sharing. 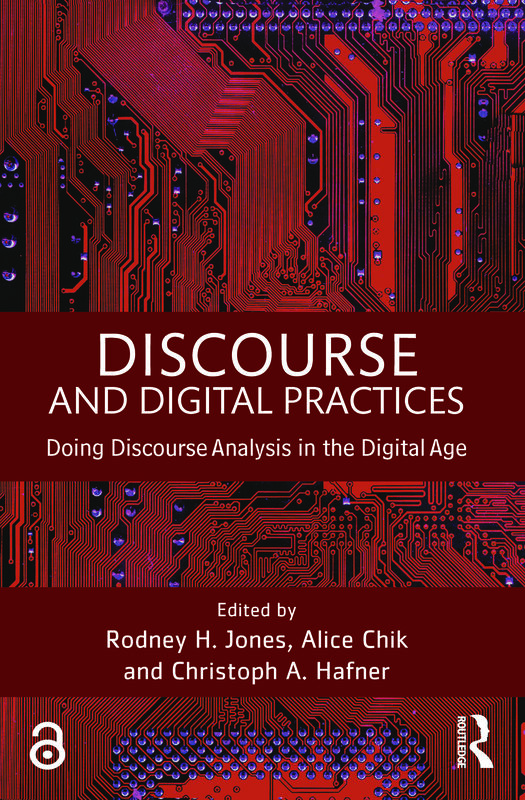 answers the central question: "How does discourse analysis enable us to understand digital practices?" examines digital practices from a wide variety of approaches including textual analysis, conversation analysis, interactional sociolinguistics, multimodal discourse analysis, object ethnography, geosemiotics, and critical discourse analysis. Discourse and Digital Practices will be of interest to advanced students studying courses on digital literacies or language and digital practices. Rodney H. Jones is Professor of English at City University of Hong Kong. His main research interests include discourse analysis, health communication and language and sexuality. His books include Discourse in Action: introducing mediated discourse analysis (edited with Sigrid Norris, Routledge, 2005), Understanding Digital Literacies: a practical introduction (with Christoph Hafner, Routledge, 2012), and Health and Risk Communication: an applied linguistic perspective (Routledge, 2013). Alice Chik is Senior Lecturer in The School of Education at Macquarie University. Her main research areas include narrative inquiry, literacy, and popular culture in language education. She is the co-editor of Popular Culture, Pedagogy and Teacher Education: international perspectives (Routledge, 2014). Christoph A. Hafner is Assistant Professor in the Department of English, City University of Hong Kong. His research interests include specialized discourse, digital literacies and language learning and technology. He is co-author of Understanding Digital Literacies: a practical introduction (Routledge, 2012) and co-editor of Transparency, Power and Control: perspectives on legal communication (Ashgate, 2012).